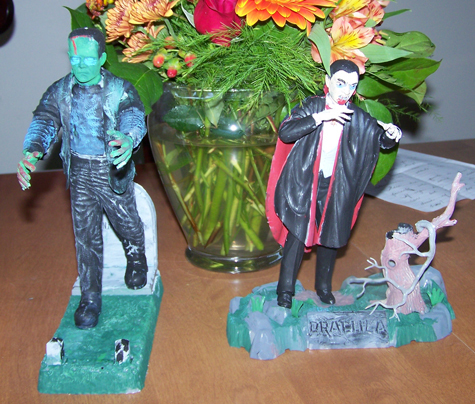 At my house anyway, every year my neighbour puts on a display with Jason, Freddy and Leatherface, while cool it isn`t my idea of Halloween. So I decided to spend some time in the garage and make these two, both of them are about seven feet tall. I modeled the mummy after the Lincoln International Action figure, even has the elongated fingers, I toned down the blood a bit though. James sent me in this awesome shot of himself still wearing his Ben Cooper Superman costume well past October 31st as what can be evidenced by what is in the background. I say, Bravo to you James. I find the sight of Halloween decorations being replaced by Santa on October 31st somewhat bothersome. 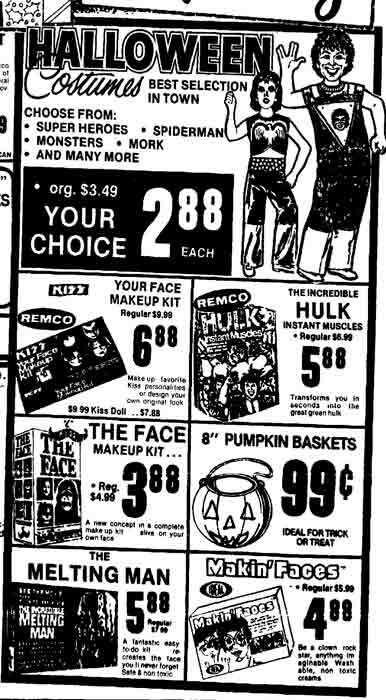 I went for Halloween 1980 in that Ben Cooper Yoda set, as an adult I'd rather have those cool Remco Dracula and Frankenstein Make Up Sets. 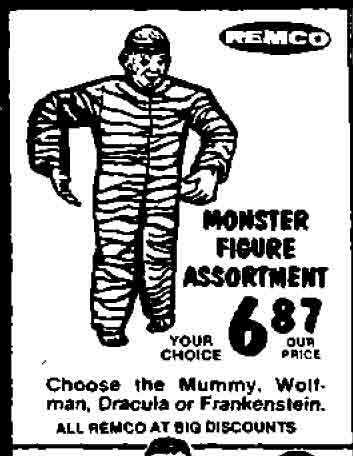 Halloween Costumes: Best Selection in Town! 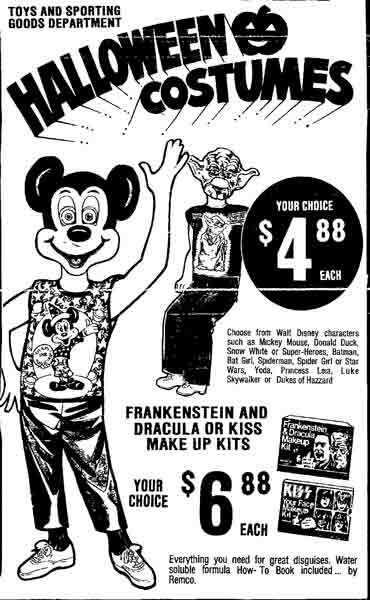 Love, love, love this ad from '79, all the faves are here, Mork, Remco KISS your face, Imagineering's "The Face" but the big standout on this piece would be the "Incredible Melting Man" makeup kit by Imagineering. 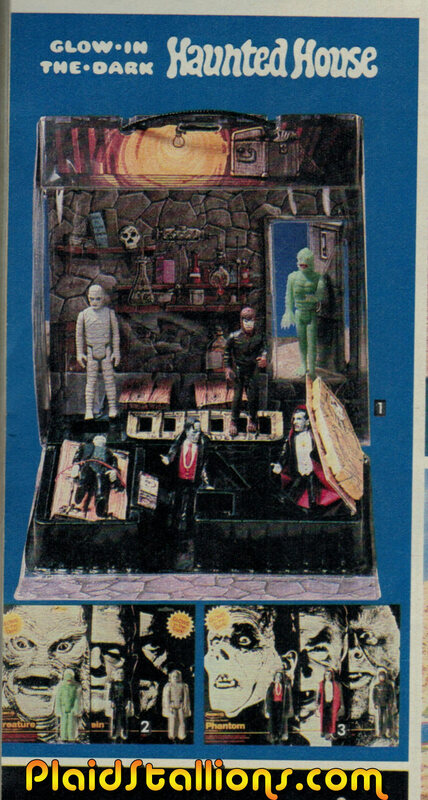 Based on the movie of the same name (which is also a great episode of Mystery Science Theatre 3000) the melting man kit was short lived and now quite desirable to collectors. 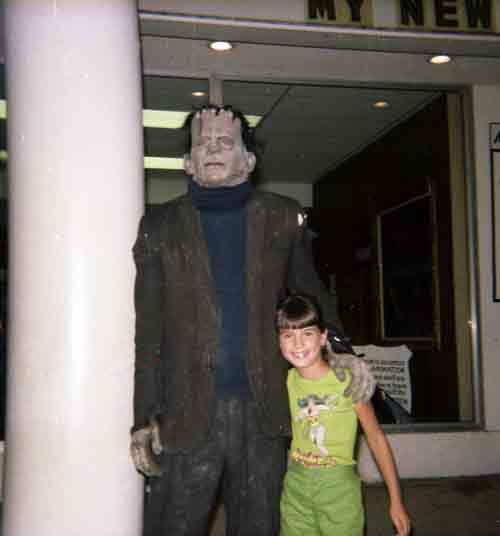 More Halloween stuff all day! It's been a while since I unveiled a trading card and this is going out of order but what the hell, it's Halloween. 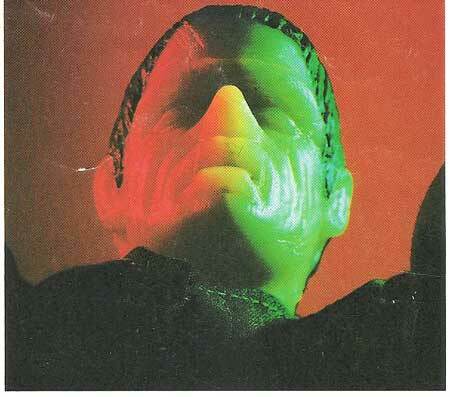 Card #29 is the Remco Monsters. Anyone who has read this blog knows I'm terribly fond of the line and I loved this great glow in the dark shot, so it was a no brainer to get these out for October. I'll be doing a contest for these in November. 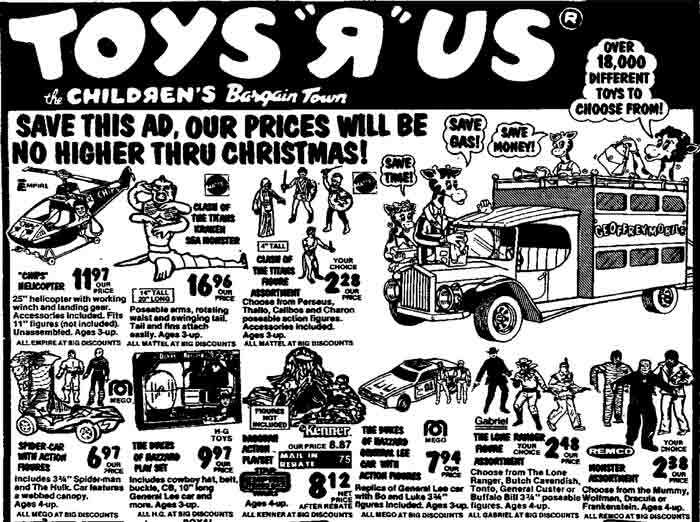 Speaking of the Remco Monsters, what better time to show off these great Newspaper toy ads which feature them, click on the one above for a larger look. 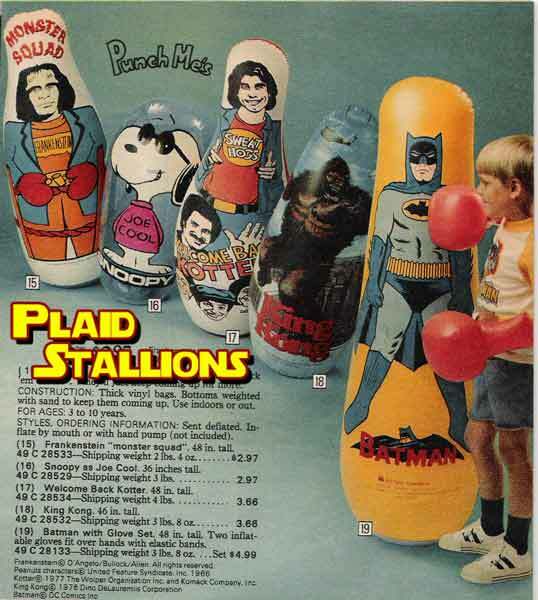 $6.87 seems kind of high for these back then, of course if you offered this now I'd fill my garage. 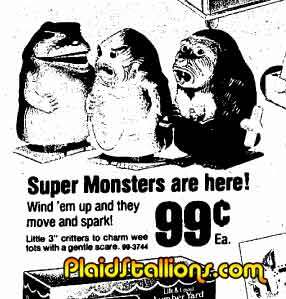 The awesome mini Monsters are in this great Kiddie City ad. Click on it for a larger view. 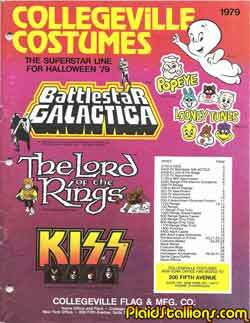 Awww yeah, we wrap up our month of Halloween with our third dip into the "Collegeville barrel" with this grooving catalog from 1979. 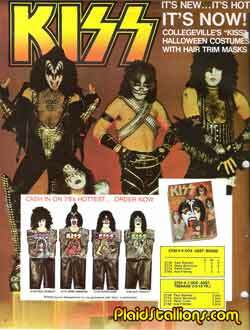 '79 saw some great new additions to Collegeville as they scored some major licenses most important at the time would be KISS, the rock band that wore Halloween costumes 24/7. 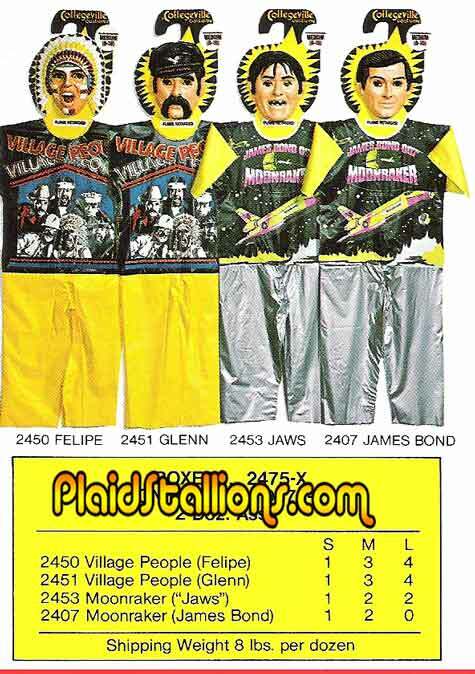 For the space kids, Collegeville had the good guys and bad bots of Battlestar Galactica and for you fantasy nerds, The Lord of the Rings! Oh my goodness, I need to own this badly. 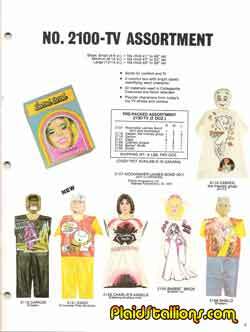 Click on any image to check out all the fun of the 1979 Collegeville Costumes Catalog. Click on the images to see a larger view of the sell sheet. AHI Super Monsters on Sale! 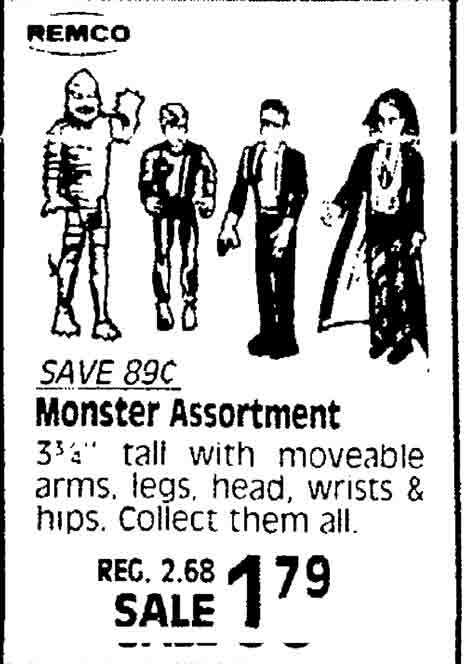 Here's another clearance ad, not only for the Monsters but for the other AHI lines like their "Action Apemen" and their generic Western figures. 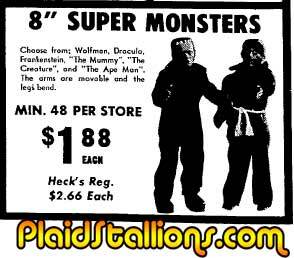 This is a great ad from "Hecks" featuring an image of Frankenstein and the Wolfman, it also mentions the Creature (Drool) and "The Ape Man". 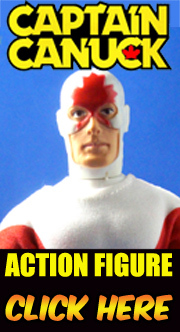 Mego really brought out the lawyers fast on that one. 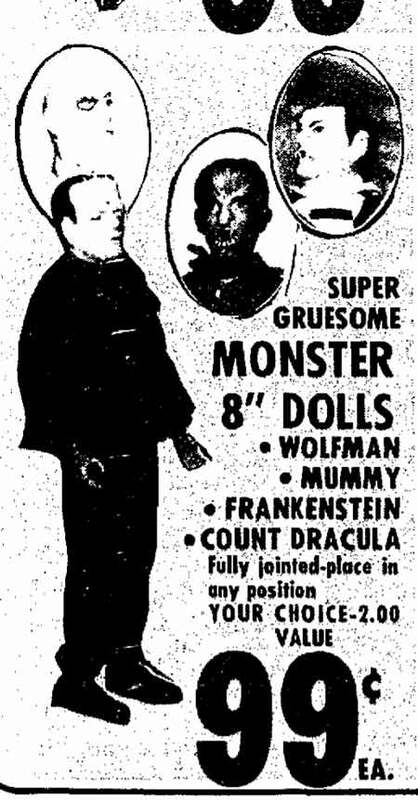 Ah the creature makes a rare appearance in this ad, it's the male version. 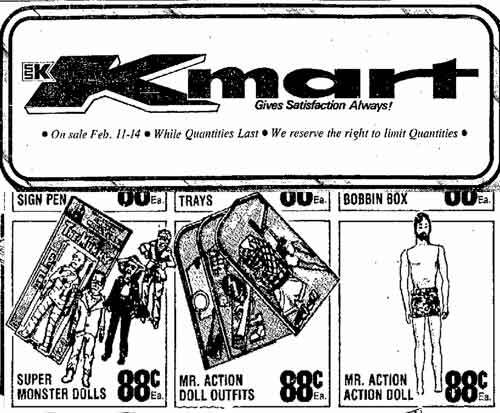 At $1.44 you could put me down for at least a gross of each, if not more, these guys are some of the best rack toys ever made. 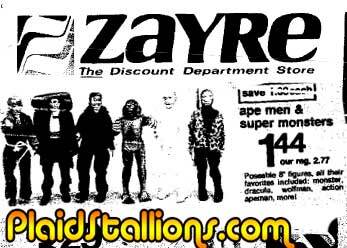 This ad from 1976 is noticeably missing the Creature. Village People or James Bond? 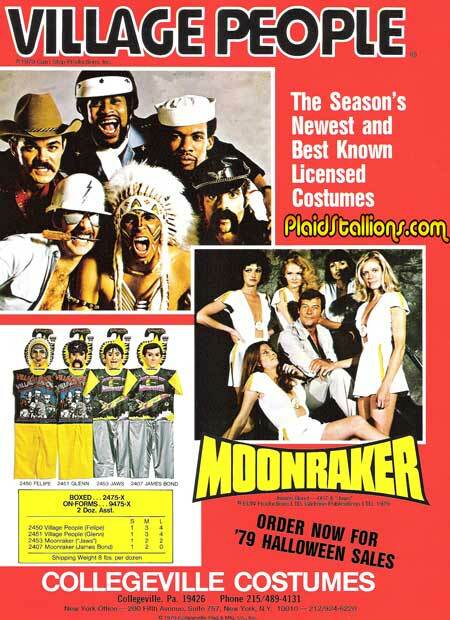 What a tough choice kids had in 1979, smooth as glass spy James Bond or those "Whacky" Village People? In 1979 it was an honest dilemma, now those pictures look like different sections of an adult video store. "I'd get the biker son, he looks tough, that Roger Moore is a cissy!" 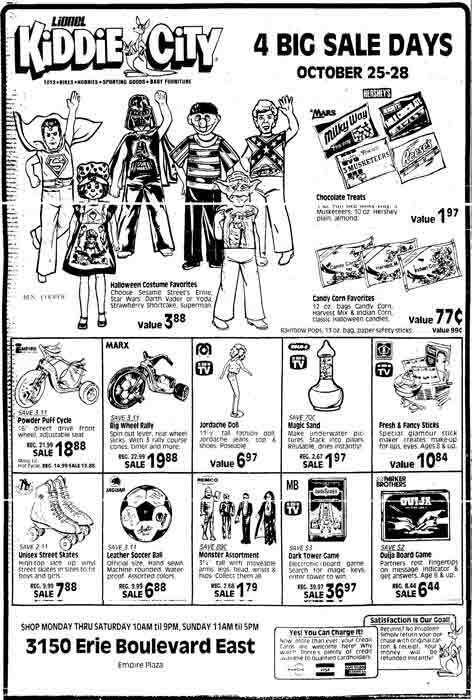 This is an ad from Canadian Tire of all places and I totally remember it, these guys were in my stocking one Christmas. Originally they were made by Azrak Hamway (AHI) . 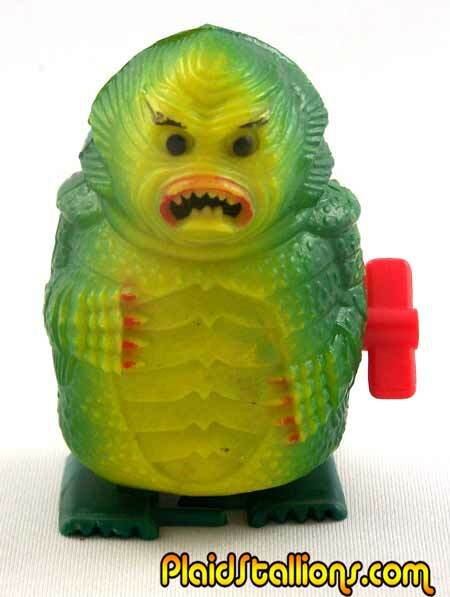 The three figures included a suspiciously familiar "Rex Dinosaur", the Creature from the Black Lagoon and King Kong, each shot sparks from it's mouth while walking. Below is an original Creature (you can tell the originals because they have toes on their feet and are marked AHI) which I'm happy to say still sparks. 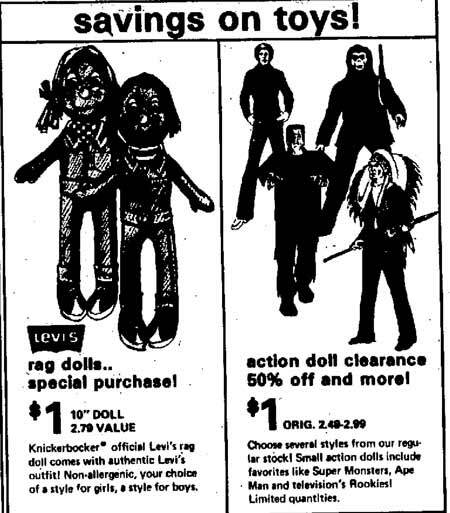 According to the 1976 AHI Catalog, these originally came carded but I seem to remember them just being in a counter display box. 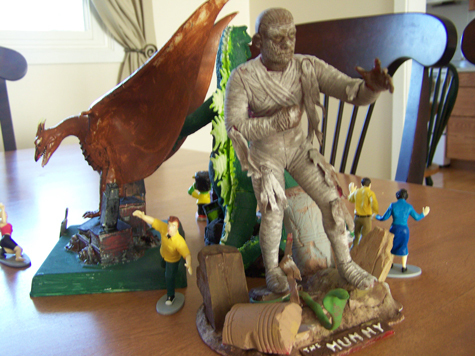 A tradition in my house every October is Monster Model day, where I get the kids together and we paint a couple of Aurora reissues and use them as our centerpiece for the month. Above is last years, I had a lot of trouble finding kits locally so I actually bought this years kits when I first saw them in July and I'm glad I did, they sold out quick! 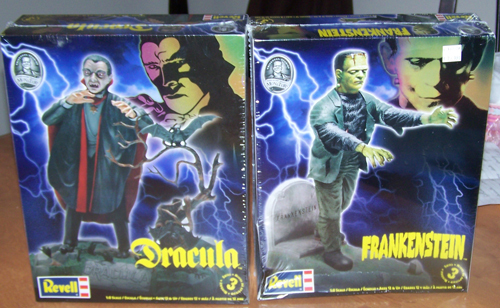 This year I chose these Revell reissues of Dracula and Frankenstein, my daughter actually hugged her Dracula kit box when she saw it, a big hit. The deal is, I do the gluing, they do the painting, occasionally helping with tough stuff like the eyes. 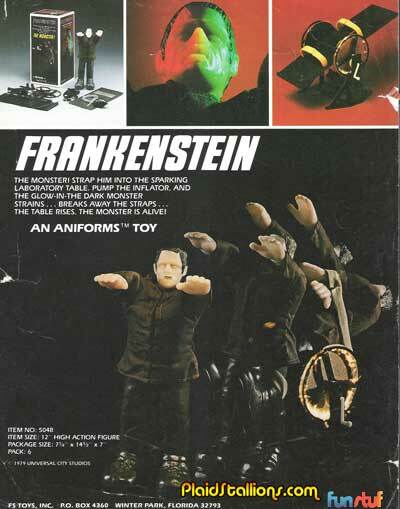 I've put together Frankenstein before and it's amazing that the molds are still holding up! My compaints are the same as they were 16 years ago when I put together the Illuminators versions, it's tough to make the guy stand properly and I had issues with the jacket but it was no big deal. 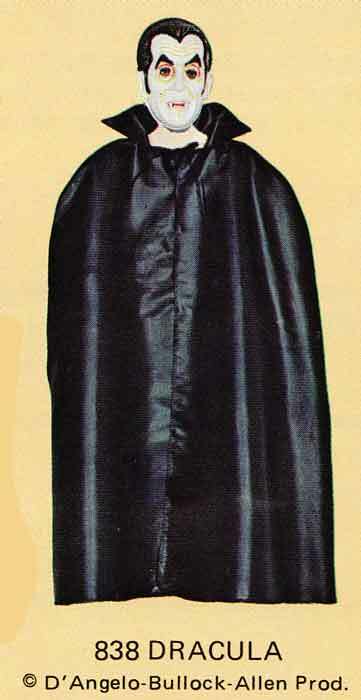 Dracula's headsculpt looks different somehow but I really ended up liking it, I'd love it if it ended up on an action figure again the way AHI did them. Viola! Not bad considering they're four and seven, they even learned the magic of "Dry brushing" from their dad. What I found most interesting was the amount of blood the kids put on the characters, I guess some things never change. Next year I think we'll do the creech and wolfman or maybe the phantom..
Lou sent in this cool shot of his sister, which he says is it is from a haunted house across from where "Bugs Bunny Meets the Superheroes" was playing. 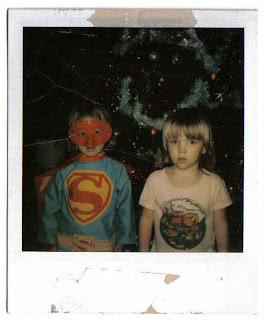 Dig her cool Wonder Woman shirt. We don't get enough Monster encounters here, this is only our second one. Come on People! 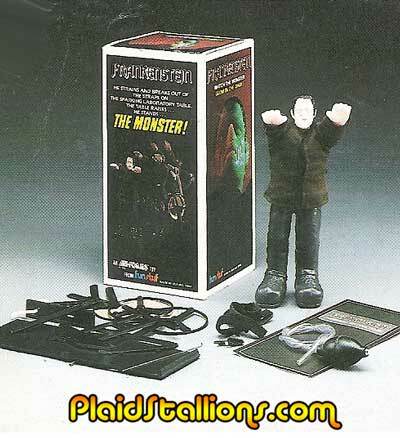 No, not the 1987 movie but the original 1976 Saturday Morning Series that really helped my love for Monsters in general. The show has precious little web presence and I'm honestly surprised how much merchandise I discovered, so I've created a little gallery to showcase it all. 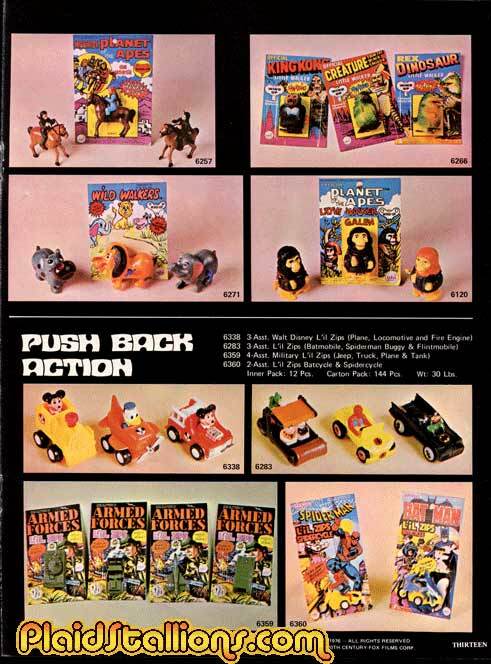 It's all here and there may be a few surprises, everything from proposed (but sadly not released) action figures to Halloween costumes, toy cars puzzles and the board game everybody should be familiar with. Apes attack in the UK!